On my trip to Portland (read about it here), I fell in love. Hard. 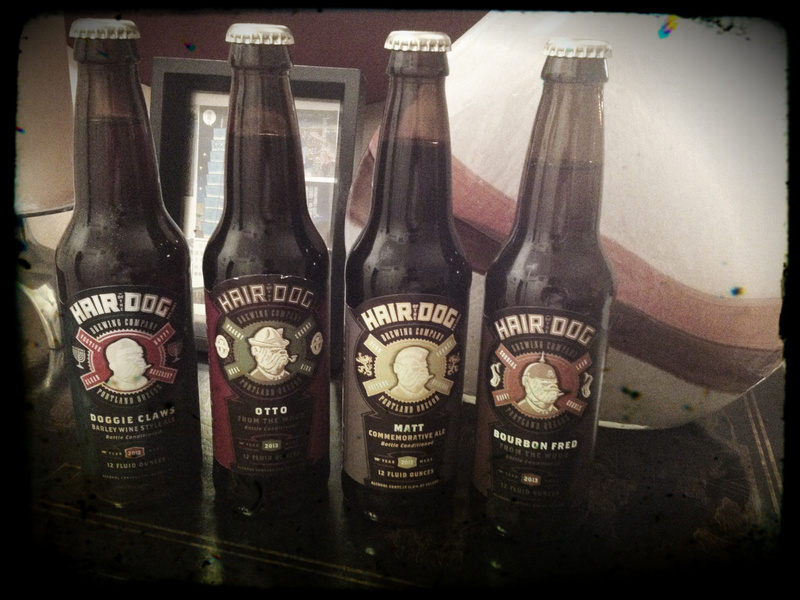 With Hair of the Dog Brewery. 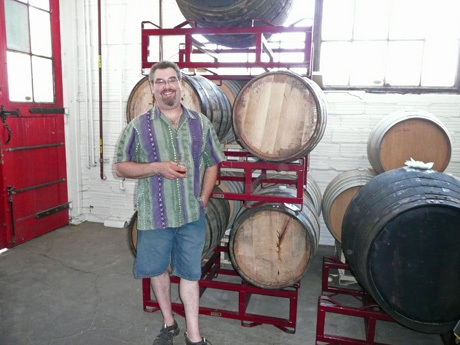 Alan Sprints opened HotD in 1993, and quickly became a pioneer in the old world, barrel-aged process. 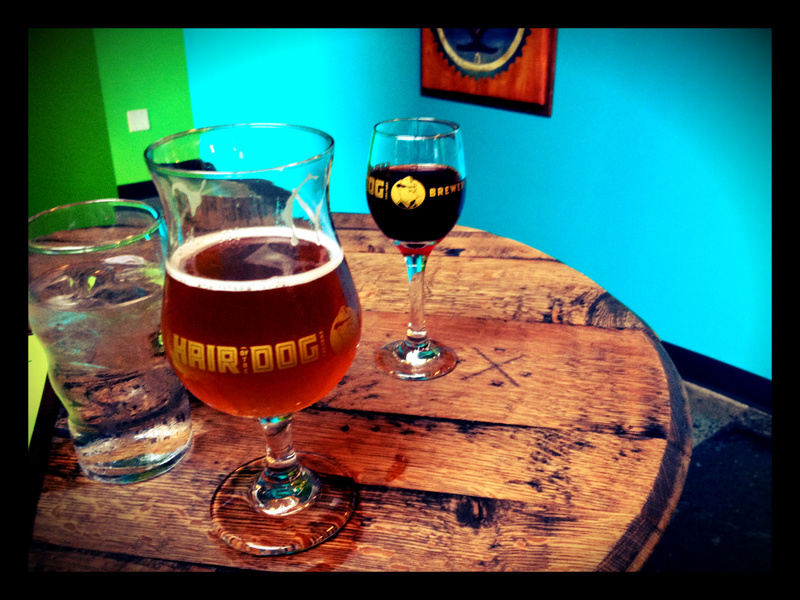 The beer is amazing, and unlike anything you’ll find anywhere else. It has the accolades to prove it. On the beer rating site Beer Advocate, four HotD beers were listed in the Top 250 Beers in the World. On Ratebeer, three were listed in the Top 100 Beers in the World. Matt was rated the 26th best beer in the world, and the brewery itself was one of the Top 100 Brewers in the World. Where’s The Beer NY: What’s your general inspiration when brewing? Alan Sprints: I always wanted to make something other people liked. WTBNY: 99% of all the ingredients you use are sourced within a 350 mile radius of the brewery. Why is that important to you? AS: I try to keep as much money in the local community as I can and try to limit food miles to help the Earth. WTBNY: You went to the Western Culinary Institute. What foods do you think pair well with each of/some of your beers? AS: You can find a beer to pair with any food. Adam and chocolate is a match made in heaven. WTBNY: As one of the first breweries to barrel age, how do you feel about the process becoming so popular recently? Is there another brewery you learned it from? Is there another brewery/breweries that you that are doing some really interesting barrel-aged beers? Do they influence you? AS: It makes me feel I was headed in the right direction. It came from my desire to brew the traditional way. Now almost every Brewery has something interesting aging in wood and they all help me decide what I want to make. WTBNY: Do you source specific barrels for aging? AS: Yes, new wood, bourbon, brandy, used wine. They all give something special to the beer. WTBNY: How long do you recommend cellaring your bottle conditioned beers? AS: They are ready to drink when they leave the brewery but change as they age, so I think it is interesting to taste them every five years or so. I have bottles from the ‘80s in my cellar. WTBNY: Most of your beers come in at around 10% ABV (or more). Is this on purpose, or a result of your preference for making old ales and strong ales? AS: Strong Beers are the ones I found the most interesting and also were hard to find when I started. WTBNY: Are your beers (Adam, Fred, Matt, Ruth, etc) named after real people? AS: Adam was a historic beer style, but Ruth is my Grandmother and Fred Eckhardt is my Beer Guru. WTBNY: Why do you use Belgian candy sugar in Matt? AS: More alcohol without the heaviness you get with all grain beers. popular. What kind of cherries do you use, and when in the aging process are they added? depending on the Beer. Fruit is usually aged for 18 months in wood. 2014 and beyond? Any plans to increase distribution to NYC?